“North Korea is not an insane nation. It is a crazy nation.” – Richard Armitage, actor. It was last year in December that Sony Pictures shattered the hearts of millions of Seth Rogen and James Franco fans. How? They revealed that they would not be releasing the much hyped movie “The Interview”- a film about the escapades of the duo and a plan to assassinate Kim Jong II. What followed was a series of allegations and denials that only led to the worsening of relations between the two nations. North Korea, for the millennial, is a land of great mystery. With memes, parodies and satirical content being the most easily available sources of information on the internet, most of us are actually confused about the realities of the nation. 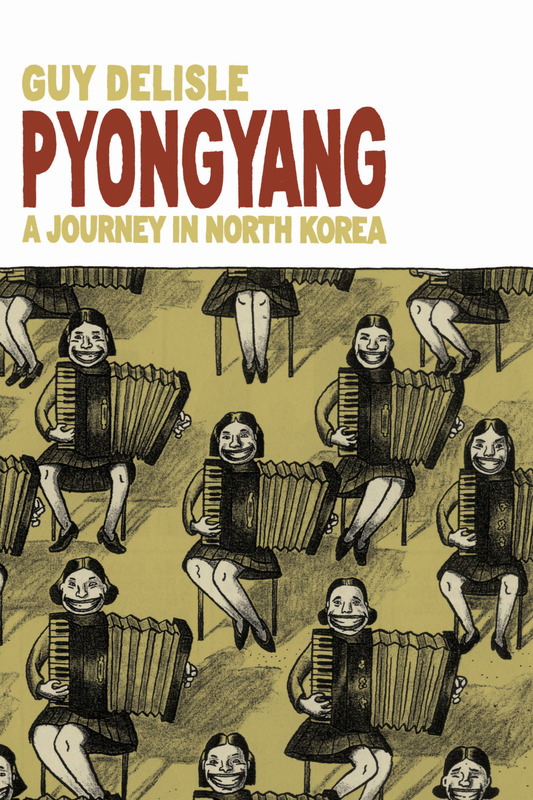 But however, Canadian cartoonist and animator Guy Delisle’s Pyongyang: A Journey in North Korea released in 2004, offers to us a first person account of someone who has visited the nation and lived to tell the tale. A story of his two month stay in Korea in 2001, this is an account of his experiences when he became of the very few individuals who were granted special privileges to live in North Korea for a few months; in his case, to supervise an animation project. Due to the restrictions imposed on him, we find him arriving in Pyongyang, the capital of North Korea with some cognac, cigarettes, CDs and a copy of George Orwell’s Nineteen Eight Four. And unsurprisingly, we soon discover that his travels within North Korea aren’t as “free” as he had hoped. With the mandate that he should be accompanied by a guide and translators at all times, he realises that he is restricted to shuttling back and forth between hotels, visiting embassies and “admiring” official landmarks and buildings. He also realises that the simple act of going to the railway station requires permission to be taken at least a week in advance. And as he gets used to these incredulous rites of the country, he realises that there is more to this “strange” place. He witnesses people walking backwards- a traditional form of exercise in the country. He notices the absence of the old and the sick; he observes the suffocating presence of political propaganda as well as mindless cults supporting the rulers and the horrifying reality dawns on him- this dictatorship is indeed a modern Stalinist regime. 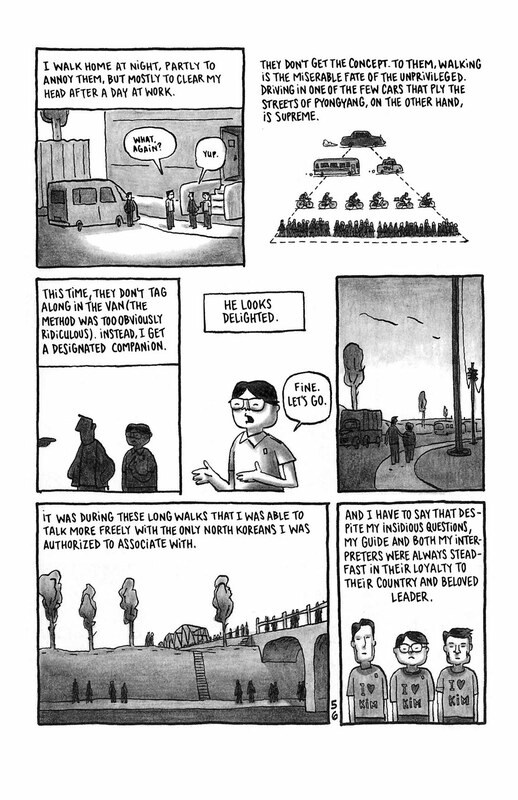 Guided by the works of the legendary Joe Sacco, Guy Delisle assumes the role of a travelling cartoonist who delves deep into social commentary via sequential art. 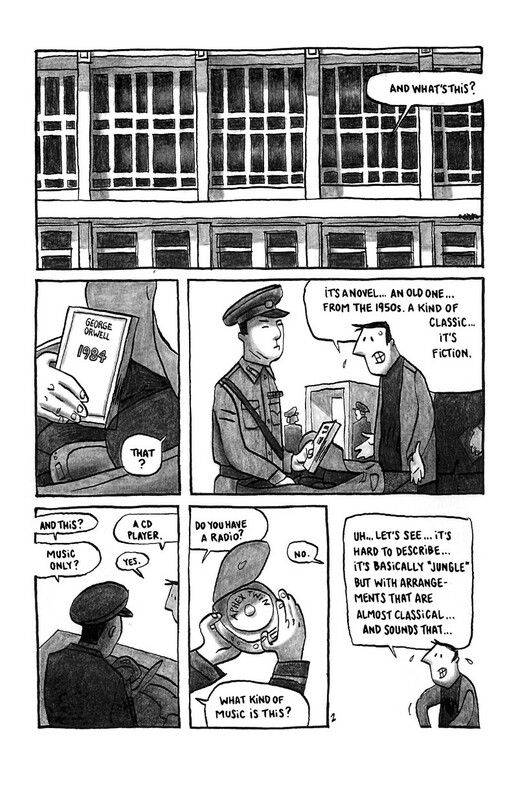 Though both creators choose black and white artwork as a medium of expression, Sacco excels in the form of investigative journalism, Delisle in honest travelogues. A narrative that is defined by surprise, realisation of privileges and empathy, Delisle’s simplistic artwork does not stray into surreal depictions that lead you further away from reality. He maintains a sense of humour, albeit black in nature, to bring to life what can seem to be mundane everyday events. And yes, it is an essential read for anyone who is curious to know what happens within the borders of North Korea.